I’ve been gardening all my life. My mother is an expert gardener and helped me learn about it even as a young girl. We had this little playhouse in the back yard and my best friend and I dug out a spot behind it to have our own garden. We planted tomatoes, cucumbers, lettuce, etc. We didn’t grow a lot, but it was so fun and rewarding when we did. Fast forward to 20 years later, when I’m all grown up. You’d think I’d have learned tons more about gardening since I was nine. You’d think, but no. I haven’t really been able to have good gardens since that playhouse garden, and never really bothered to take the time to read about how to make them WORK. I’ve grown things like lettuce that were so infested with aphids that it wasn’t worth trying to eat, tomato plants that were enormous but didn’t produce hardly any fruit, and basil plant after basil plant that just…dies. It’s time for me to start educating myself so that all my hours of hard work actually amount to something. 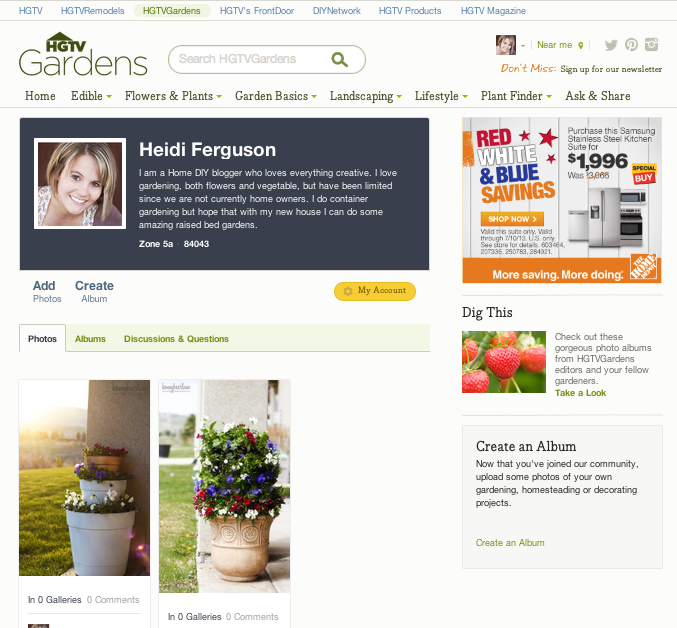 So imagine how excited I was when I discovered that my beloved brand HGTV, now has a gardening website called HGTVGardens! 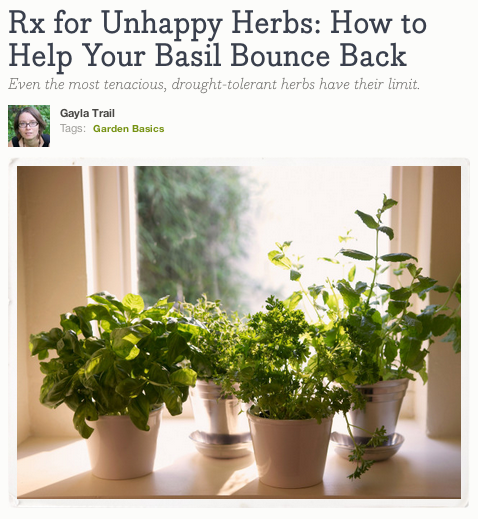 I could spend hours on this site, skipping from link to link as I read and learn all about gardening. I became a community member so that I could show pictures of my own gardening attempts and ask questions and get answers from other members in the community. 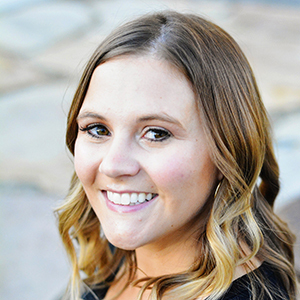 I love this site because in addition to having so many helpful and informative resources, it also is a place where I can interact with other beginner gardeners like me and advanced gardeners who know a whole lot more than me. And look–it even has a page to help you with whatever kind of garden you choose to create! I’m a renter currently, so container gardening is really the only thing I can do. 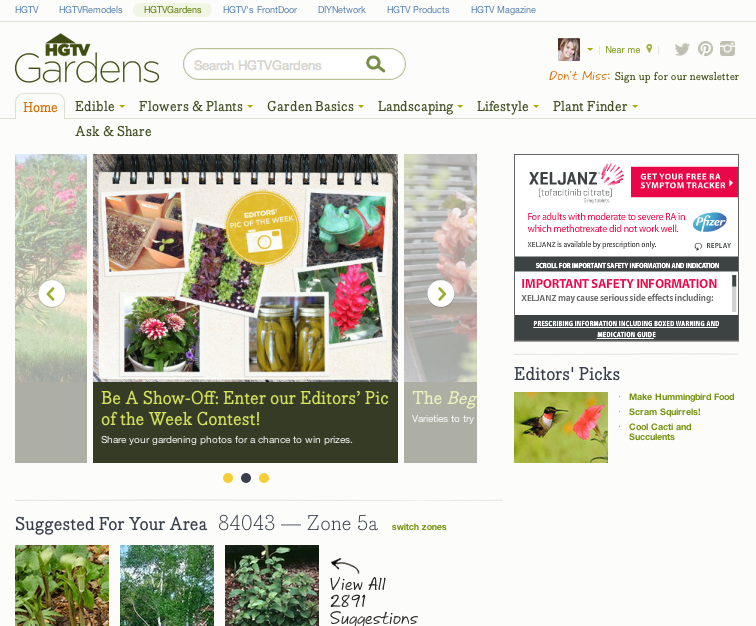 But with plans to buy a home in the next year or so, I will definitely be returning to HGTVGardens to educate me on raised bed gardening and much more! 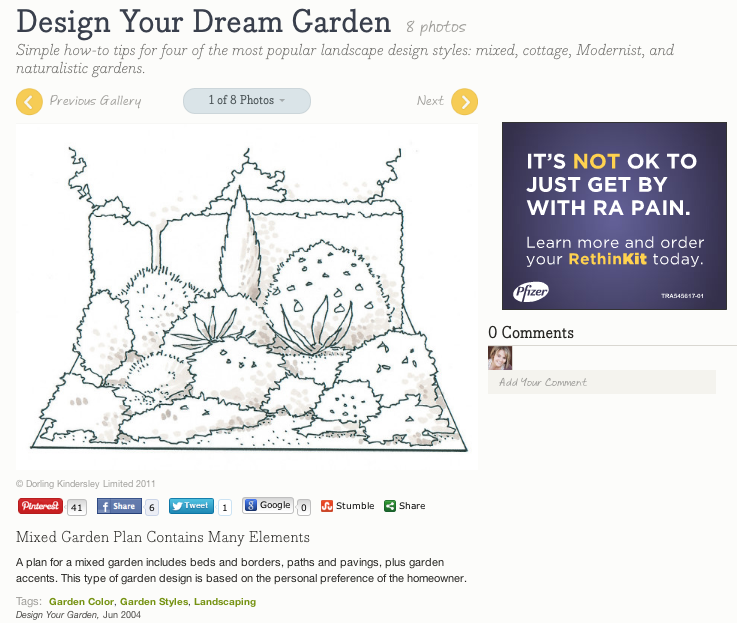 I also loved this article about designing your own landscaping in your yard. As much as I’d love to say that I could design my own plans for landscaping my yard, I realize that I know virtually nothing about it. But do I want to pay a professional to come do it? Not so much. This article was super helpful and gave me the confidence I need to learn how to design it myself! And I had never even heard of hardscaping before…but now I know! 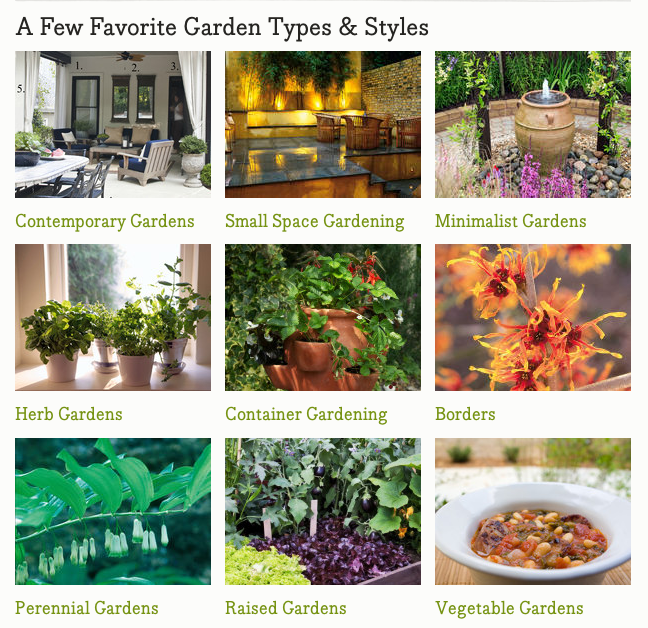 This website has an answer for all your gardening questions…whether you have questions about landscaping, growing flowers…even growing herbs. And I can finally learn how to keep my basil alive. This is a great place to find helpful tips. Thanks for sharing. I appreciate the comment you left too!